Here we are offering to the hotel industry the world leaders in Hotelware. WMF - this German giant with a turnover of 1 Billion EURO and 6000 employees is today recommended by most of the F&B and Kitchen Stewarding executives in the most posh and reputed hotels in the world. WMF figures out as the ultimate choice for all F&B requirements. Narumi Corporation is one of Japan's leading tableware companies, and is engaged in the development, manufacture, and sales of ceramic tableware such as bone china. Visual appeal, aesthetic design and remarkable quality form the hallmark of Narumi Bone China. Its subtle colours, graceful edge and rich luster add a touch of elegance to any interior. Stolzle - the brand stands for innovation and quality; crystal with high brilliance, high-fracture-resistant, dishwasher safe, and an optimum price. This principle, meets these mass produced lead-free glass lenses which is not only required for a good glass of wine for the average wine drinker, but also excels at professional use in catering and hotel industry. Alfi is a leading global brand for vacuum flasks. The company was started as the Aluminium Work Fischbach in 1914, almost a hundred years ago. Alfi develops and manufactures high-quality design insulated products at Wertheim, Germany. With the most innovative ideas from the best international design studios, Alfi with its unique hallmark keeps drinks and foodstuffs fresh, cool or hot. Lodge Cast Iron Cookware, is a healthy alternative to non-stick cooking. For more than 100 years Lodge has been making cast iron cookware. Its origin can be traced to the town of South Pittsburg, Tennessee, U.S.A. Today Lodge produces the most extensive selection of quality cast iron goods on the market. Lodge offers Cast Iron cookware which includes Dutch Ovens, Chicken Fryers, variety of skillets, griddles, deep fryers etc. Based in Chesterfield, UK, Utopia provides for glass, ceramic and cutlery products to meet the requirement of its global customers. Be it cutting edge design or practical and cost effective solutions ,Utopia 's collection provides for outstanding customer satisfaction. For over twelve years Rosseto® has been a leader in the design, production and marketing of innovative technology for the food service and houseware industry. With its high quality, beautifully designed acrylic products Rosseto offers multiple options for a creative presentation. Deson is a professional enterprise which specialises in customised and exclusive mobile buffet station and high-end banquet furniture equipment for top hotels! Deson’s core value and brand value is originality of design! With a team of professional designers and own factories in Shenzhen, China, Deson have developed unique products integrating aesthetic and ergonomic design, crafted from the finest materials and made to the highest standards. Deson provides product solutions in a variety of styles and finishes, ranging from the traditional to the contemporary to meet your specific needs. For over 100 years Olymp from Germany with its numerous inventions and innovations has been one of the world's leading equipment providers for the hairdressing trade. Olymp product range includes Styling Chairs, Shampoo Stations, and Styling units. 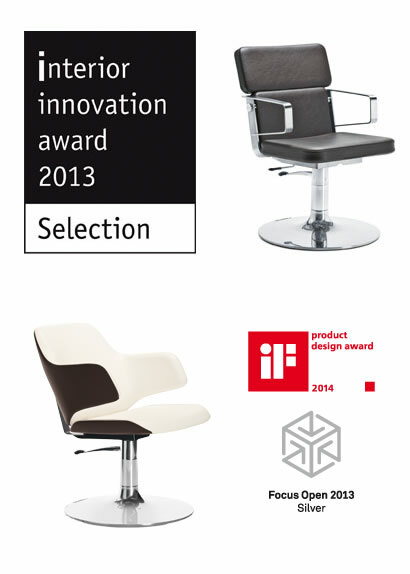 Olymp provides innovative and functional designs which are the best Salon inspiration worldwide. Gharieni is a manufacturer of High-End Spa Tables, Medical Beds, Spa Equipment, and Furniture.Gharieni keeps to the principle of quality without compromise. Its manufacturing and administration processes are subject to constant quality checks. The comprehensive quality management of Gharieni’s business processes has been in place for over ten years now, and includes the ISO 9001 and ISO 13485 certifications.This guarantees quality of product and equally excellent service.Various awards from the wellness, cosmetics and medical industries for individual products, innovative developments, the highest levels of quality, superb designs and the highest standards of service and warranty confirm Ghareini’s concept. HeppHospitalais one of the leading manufacturers for food distribution systems, offer system service utensils and cutlery on the international market – whether it is for hospitals, clinics or for senior citizens’ residences. Hepp system service utensils are quality products at the highest level. These are unique products with a maximum of efficiency and longevity. Their insulating power fulfils the highest demands, the design is elegant and timeless. Piazza provides a vast assortment of professional utensils and instruments for every occasion on which food is created, served or eaten. With more than 125 years of history Piazza has constantly evolved and made investments in production technologies, to offer high quality products to its customers. Bette Gmbh & Co.KG from Germany, is a pioneer in the production of steel/enamel baths and shower trays. Through decades of experience in steel reshaping & enamel finishing, Bette has become one of the leading manufacturers of enameled steel products. Axum Bohemia , a company established in 2000 in Teplice - a traditional Czech "town of glass". It specialises in original glass processing particularly fused glass. In gastronomy it is known as table glass or glass for buffet systems. Design plays an important role in the world of catering. With its focus on products with original design as well as on interior decorating accessories, the company offers complete product lines and unique individual pieces. The versatile modular Candola® system from Austria creates with a real ﬂame a wonderful natural light – clean, odourless, safe and eco friendly. A continuous wick burns the special Candola® ﬂuid up to 120 hours long without any soot or smoke emission. The empty fuel cell is very easy and fast to replace. Simply wonderful. Candola was founded 30 years ago, their products have been evoking magic moments as to aesthetics and well-being on the table. The Candola products are present in more than 80 countries on all continents and guarantee top quality from Austria. For that reason, they have been awarded the Austria Quality Seal. Candola presents a careful selection of exclusive and trendy products for the gastronomy and hotel industry. Their committed and qualiﬁed team with its own production facility in Mödling offers comprehensive services.